We offer six month warranty on all of our carburettor re-conditioning work. We have an extensive range of reconditioned carburettors for sale or new after market carburettors are available. 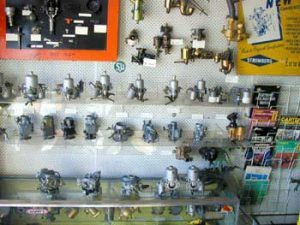 We have a comprehensive range of carburettor kits,shafts and component parts. Exchange service available on some makes.